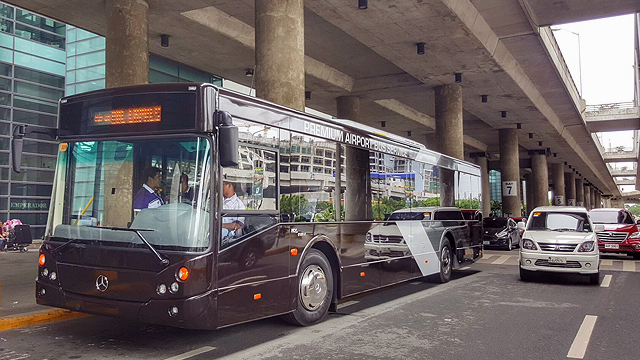 It comes after the controversial Catanduanes expedition of KONI-equipped vehicles. 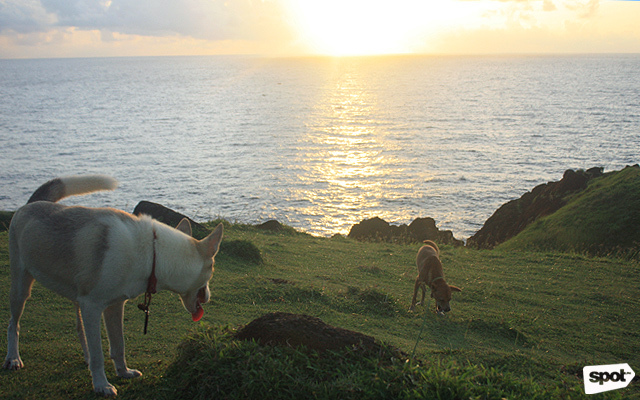 (SPOT.ph) Batanes is a popular destination in the Philippines for its rolling hills and grassy highlands that provide an astounding view of the horizon and surrounding ocean. 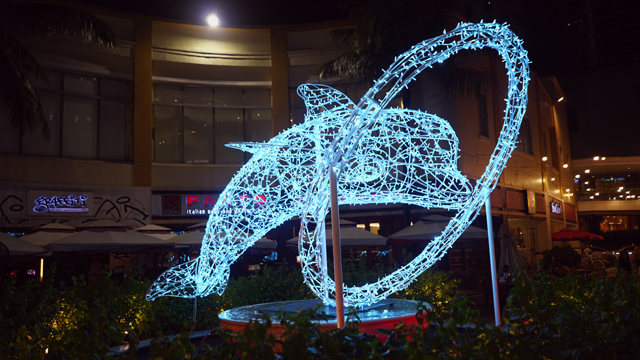 But this isn't the only place where you can see such natural wonders. 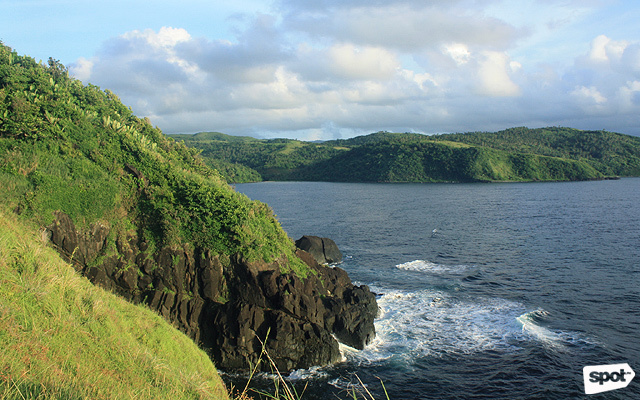 In the island province of Catanduanes in the Bicol Region, there are a number of viewpoints that you can check out for an impressive panorama of the country's eastern seaboard. 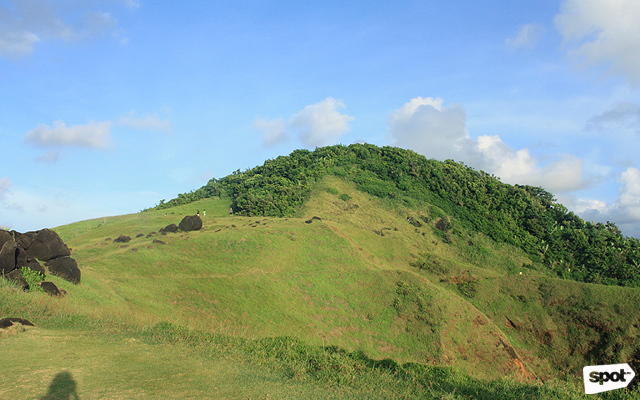 This includes Hiyop Highland and Cagnipa Rolling Hills in the municipality of Pandan, and Balacay Point and Binurong Point in the municipality of Baras. 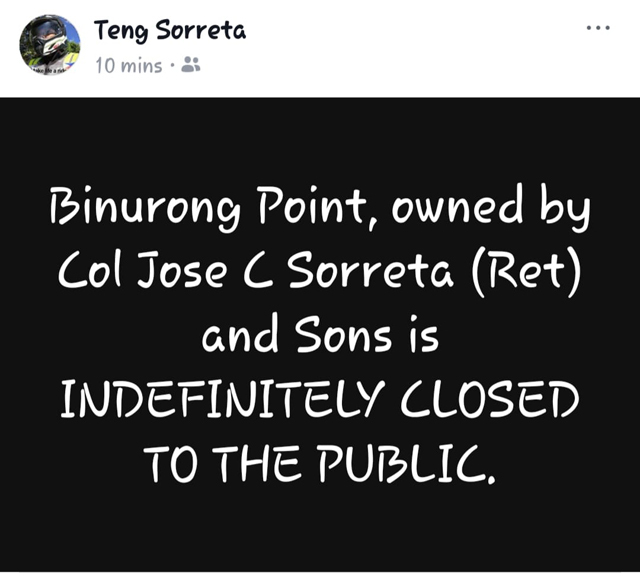 The latter, however, is now indefinitely closed to the public as announced by the family of its owner, retired Col. Jose C. Sorreta. This news comes after the controversial Catanduanes expedition of KONI Philippines, a company that manufactures offroad rally shock absorbers, co-owned by the Sorreta family. 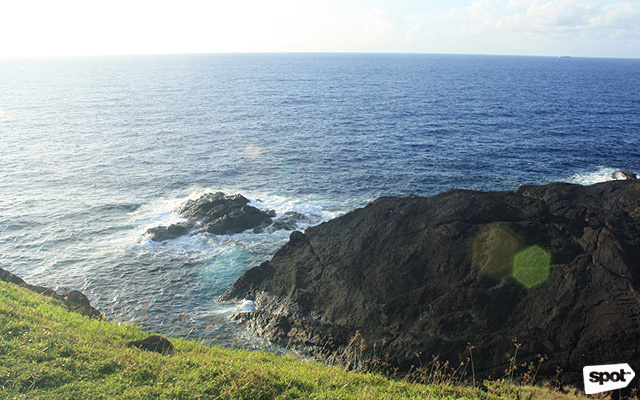 It was dubbed the "first motorized vehicle to reach the edge of Binurong Point." This was met with negative and divisive comments after photos of cut-down trees and road widening in the area floated online. Bilang sarong Catandunganon, makulog sa parte ko an maisihan an balitang ini. ???????? *legally*, wala tayong karapatan magriot against the expedition of Koni because Binurong is private land and the owners have given consent for them to do it. 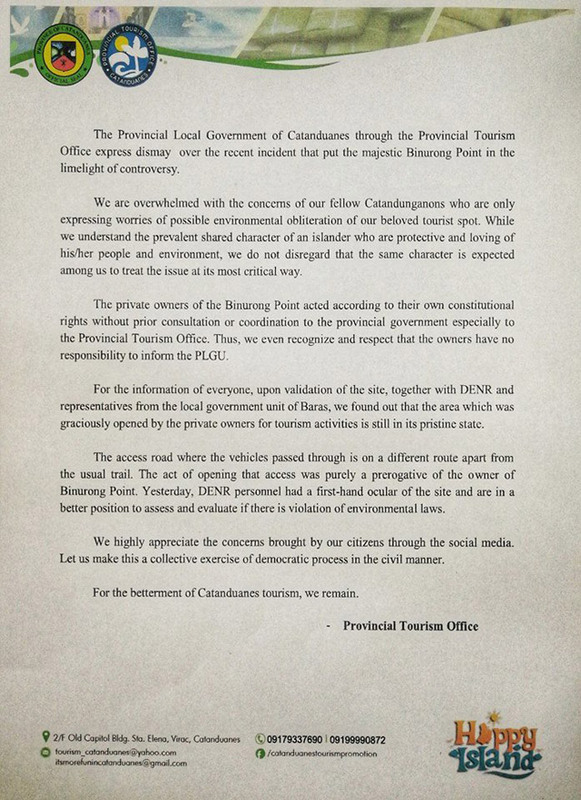 In a statement, the Provincial Tourism Office headed by Carmel Bonifacio Garcia said that "the private owners of the Binurong Point acted according to their own constitutional rights without prior consultation or coordination to the provincial government especially to the Provincial Tourism Office. Thus, we even recognize and respect that the owners have no responsibility to inform the PLGU." The tourism agency also pointed out that the site was immediately investigated by the Department of Environment and Natural Resources, which found that "the area which was graciously opened by the private owners for tourism activities is still in its pristine state." They also explained that the "access road where the vehicles passed through is on a different route apart from the usual trail. The act of opening that access was purely a prerogative of the owner of Binurong Point." 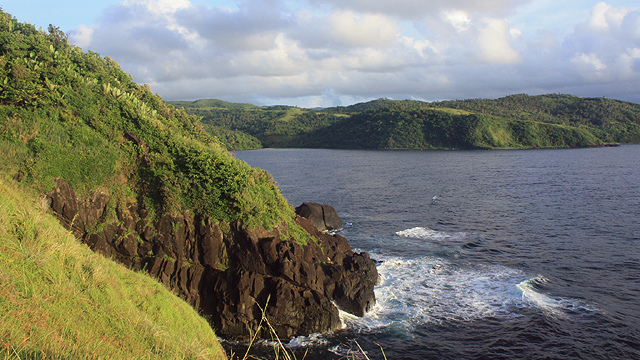 Binurong Point is one of Catanduanes' hidden gems. 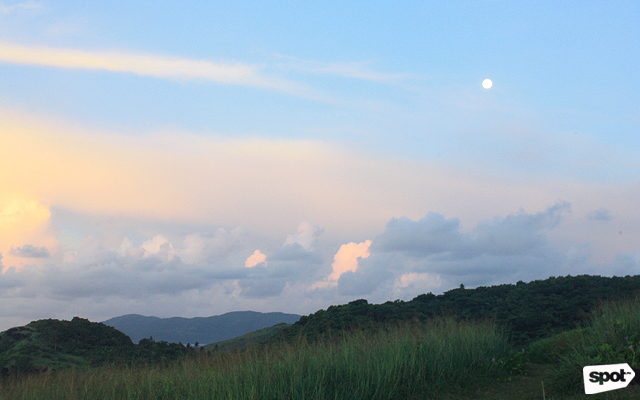 It is recommended that you leave for the trail as early as 4 a.m. because your hike will entail traversing boulders with waves crashing against them, walking on a narrow and muddy path, going through tall grass, and finding your way around rows of trees. This takes about 30 to 40 minutes of struggle, but the view on the top as soon as dawn breaks is worth every drop of sweat. This 89,000-square-meter of privately owned land provides a livelihood opportunity for Barangay Guinsaanan whose people serve as tour guides—until today. 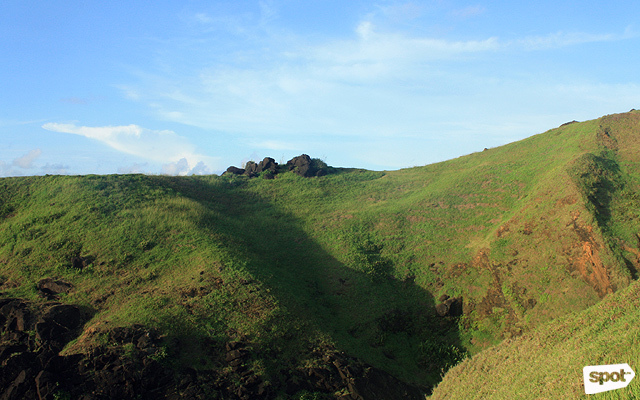 For updates, follow Catanduanes Tourism Promotion on Facebook. UPDATE (November 10, 12:30 a.m.): This article was edited to indicate that the owners of Binurong Point are part of KONI Philippines.